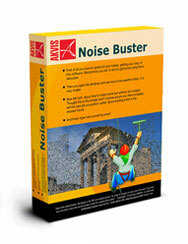 AKVIS Noise Buster is a plug-in for image processing programs that support plugins such as Adobe Photoshop for Windows and Mac, Adobe Photoshop Elements for Windows and Mac, Corel (Jasc) PaintShop Pro, Ulead PhotoImpact, ACD FotoCanvas / Photo Editor, Macromedia Fireworks MX 2004, Microsoft Digital Image Suite, GraphicConverter X for Mac and etc. AKVIS Noise Buster reduces both luminance and color noise on digital images without spoiling other aspects of the photo so that your photos look neat and accomplished. Digital noise is grains that compromise the smoothness of the photo, especially annoying on the skin as it makes it uneven. This kind of noise is called luminance noise. There can also be chroma (color) noise which is perceived as random red and blue pixels spoiling the color accuracy of the snap-shot.